Peter Pan, the "boy who would not grow up," originally appeared as a baby living a magical life among birds and fairies in J.M. Barrie's sequence of stories, Peter Pan in Kensington Gardens. His later role as flying boy hero was brought to the stage by Barrie in the beloved play Peter Pan, which opened in 1904 and became the novel Peter and Wendy in 1911. In a narrative filled with vivid characters, epic battles, pirates, fairies, and fantastic imagination, Peter Pan's adventures capture the spirit of childhood—and of rebellion against the role of adulthood in conventional society. This edition includes the novel and the stories, as well as an introduction by eminent scholar Jack Zipes. 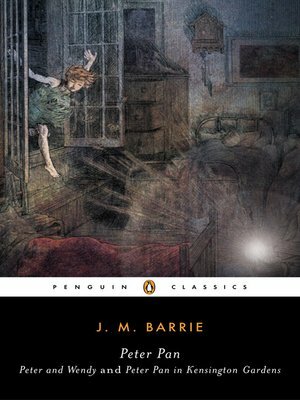 Looking at the man behind Peter Pan and sifting through the psychological interpretations that have engaged many a critic, Zipes explores the larger cultural and literary contexts in which we should appreciate Barrie's enduring creation and shows why Peter Pan is a work not for children but for adults seeking to reconnect with their own imagination.